Mike Vazquez: You’re listening to Renewing Hope on Ave Maria Radio. To call in with a question or comment dial 888-778-5833. That’s 888-778-5833. Vazquez: Welcome back to Renewing Hope. I’m Mike Vazquez your guide on this journey. 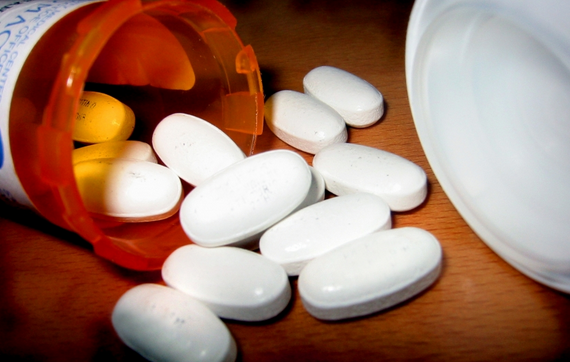 Are you one of the three Americans being impacted by substance abuse? To join our conversation today call 888-778-5833. We’re fortunate today to be joined by Dr. Charles Wadle, board certified addiction physician as we discuss why do people use drugs. To learn more about Renewing Hope or to subscribe to our podcast visit us at our website Renewing-Hope.com. Also sign up to receive Reflections on our website or a daily mass reading by email. You can always send us your prayer intentions which will be offered in daily masses here at St Gregory Recovery Center as intentions by the Sisters of the Immaculate Heart of Mary, Mother of God. The sisters are in residence here at the St Gregory Campus Convent. Also on our website you can download a prayer asking St Gregory the wonder worker, the patron saint of desperate causes, to intervene on your behalf. Visit us at renewinghope.com. Follow us on Twitter at RenewingYourHope or like us on Facebook at Renewing Hope Radio. The National Institute on Drug Abuse researched why people do use drugs and they found four core reasons. The first one was to be happy or satisfied. People who are just in the dumps and feel if they just had a drink it would get them out of that or give them that satisfaction that they’re just not getting from the daily pressures of life. The second was just to feel better; to feel better took a couple different methods. One is the fact that you’re just having physical pain and that drug or that alcohol made that pain go away. Actually we see this every day at St Gregory; as people use opiates or heroine they actually use the drug to make the pain of withdrawal survive. They’ve lost the benefit of the euphoria but they continue to use drugs to make sure that the side effects are kept at bay. It’s actually the side effects of withdrawal that keeps them addicted. A lot of times people use drugs just to do better, either from a performance aspect or from an athletic aspect. If somebody’s got a big test they want to cram for they’ll take an amphetamine to stay up and continue to study or obviously performance enhancing drugs that we read all too much about. Then there’s the one that everyone faces as they grow up: peer pressure. I’m at a party, somebody hands me a beer and to be accepted I go ahead and start. So there are lots of reasons, as we’ll discuss later in the show, but those are four of the key ones. However, the National Institute on Drug Abuse does stop short of the real answer; the parallel stops there because the catechism shows the real answer of why we pursue satisfaction and that we can obtain satisfaction through God alone. God alone satisfies. That’s really the difference and what we’ll really delve into today on how you actually use that benefit of the catechism so that you can find that happiness and that satisfaction. However, in our society today satisfaction typically comes from our living, working and relationship environments. When we don’t get natural satisfaction human nature again drives us to seek satisfaction and if we’re not well grounded in our virtues, I call it ‘the be attitudes and action’, we settle on artificial satisfaction or that misconception of good. ‘Sin’ as we all know it. The be attitudes tell us that our moral conscience is ingrained in our hearts to do good and avoid evil and no human would truly choose pure evil. Sin is usually the misconception of good. If you think about it, little Jimmy cheats on his test not because he’s evil but because he wants the praise of his parents and by doing well on his test he’ll obtain that praise. I take that beer at that party because I want to be accepted by a peer group. Those are all misconceptions of good not sin and so as we find that you have to look at those things that you’re doing. Are they truly virtue based or are they just the misconception of good? That helps to give you that first step on that path to coming back to living a virtuous life and really getting back to finding true happiness. You’re listening to Renewing Hope on Ave Maria Radio today. We’ll be discussing why people take drugs with board certified addiction physician, Dr. Charles Wadle. To join our conversation the number to call is 877-573-7825. Again, to join our conversation with any of your comments or questions, 877-573-7825. We’ve talked a lot about substance abuse and why people use drugs and we have a lot to talk about today so let’s jump right into it with our guest, board certified addiction physician Dr. Charles Wadle. Dr. Wadle is a devout Catholic who with his wife, Mary Anne, has 11 children. God bless you, Chuck. Dr. Wadle, could you give our listeners a little of your background. Dr. Wadle: God bless you too Mike, on this virgin voyage of vice to virtues today at Renewing Hope radio show. My background started with pharmacy in this earthly sojourn when I finally made it to college and did an undergraduate in pharmacy. I then went on to medical school and chose to get into working more with people, getting to know them through their problems and tribulations. I did residency in psychiatry and ultimately became board certified in psychiatry as well as a sub-certification, if you will, in addictions. Like you Mike I traveled nearly 30 years in the medical arena. You might recall that our paths crossed at a Corpus Christi procession; we kind of had that Catholic flow in our blood, if you will. It was about four or five years ago when you told me of your endeavor in developing this program for substance related treatment. Having been the medical director in a variety of clinical and administrative settings dealing with mental health and substance abuse and substance dependence and being involved with treating the withdrawal-detox activities over the years this seemed like a great opportunity to use those services in the context of Catholic programming. It seemed to be a natural progression and something it’s too bad I didn’t start earlier. Vazquez: I was discussing earlier how the National Institute on Drug Abuse describes why people use drugs and I was wondering with your years of experience, what are your thoughts on why people use drugs? Wadle: You touched upon quite a few earlier on but I want to talk today more about the psycho-social-spiritual aspects given our focus of trying to have that core of seeking Christ God in our programming. Or at least making that available. There are a lot of things to consider with the onset of drug use. You mentioned earlier about satisfaction, I think you used the word ‘happiness’ in there and I want to start with that because it’s an elusive pursuit. Everyone wants to be happy. The reality of human existence and our worldly condition is that happiness remains, as I said, somewhat elusive. It’s almost intangible at times. Drugs are just another avenue in pursuit of that happiness. I would contend we should strive for joy not just for happiness. Vazquez: When you describe it that way Dr. Wadle what do you see as the difference between happiness and joy? Wadle: Again, happiness is elusive. It tends to be fleeting. Joy tends to be fixed and more permanent. For example, I recently attended a collegiate football game and those that know me were kind of shocked that I would even go to a collegiate football game but it was an opportunity and I thought it would be fun. Assume for a moment, I’m into the college thing and I want to see my team win, and I wanted to see the team win, they didn’t that day but had they won that would have fostered some happiness. But the real joy was the experience of the event, going with others, hanging out, having some camaraderie, dealing with the crowds and just being there. That’s joy. That’s something I’m going to remember the score of the game or how bad they lost or how well they had won, had they won, which would again have been that happiness. It’s the other part that you want to seek: the joy. Vazquez: When you look at it that way can’t happiness eventually lead to joy? Wadle: It certainly could. There’s no reason it can’t with enough experience over time. But like the pursuit of happiness from the use of substances it’s short lived. It’s fleeting. Consider your many encounters with an individual or frequently with parents and children, your family friends and my practice as well in psychiatry; they all desire this happiness for one’s self or in the case, for that child: ‘I just want my child to be happy.’ But simply wanting that happiness that is sought through the short sighted gratification only to find that the happiness is, as I indicated, is elusive, it’s fleeting, it’s a moving target, you’re never satiated. It’s better that the person, or the parent, forgo that indulgent, unsustainable happiness for joy filled experiences in preparation for what we hope will be our ultimate bliss. But when you inquire as to the basis for happiness it is the here and now, today; typically parents want to see their children to not suffer, they want them to be free from pains that the parents themselves have experienced over time and, through that wisdom, want to forgo that for their children. But that’s not reality. Vazquez: We’ve got a caller on line one that has a friend with kids that just started drinking and they want to go out to the bars and had a few questions for us. Let’s take our caller on line one. Hi, this is Mike with Renewing Hope. Caller: Hi. Good morning. I was driving through Iowa when I happened to hear your show and I just have a question. I have a close friend and she was always just an occasional drinker. She has school aged kids in elementary. Her and her husband have a pretty close marriage but over the past couple years she’s been starting to hang out with women that have been going through a divorce and she started going to the bars with these gals and now she’s becoming a heavy drinker. Her husband’s real concerned and her friends are very concerned; she doesn’t get home until one or two in the morning. We’re concerned she might get a drunk driving or might hurt herself; we just don’t know what to do. Vazquez: Dr. Wadle, what do you think about that? Wadle: I think it’s not a good situation. It’s good to hear though it sounds like they have a good support system. The fact that you’re calling and you mentioned the husband is concerned. You alluded to the possibility of an OWI or getting hurt and those are factors. I think more importantly what is it doing to those relationships be that with you, be that with the husband. You mentioned she has kids. How old are her kids? Caller: One’s in first grade and one is in third grade so they’re quite small. Wadle: That’s tough on them. Hopefully she’s trying to get up with them in the morning and help them out. You come home every night, that’s going to be difficult. Who has talked to her about it? What have people said to her? Have they expressed that concern? Caller: There are a lot of us that have come and talked to her. Her and her husband are getting some counselling but they’re actually not going to a Christian counselor and that’s fearful also. Vazquez: I was just going to say one of the things we were talking about earlier, is the fact that if you don’t’ get your satisfaction from your living, working or relationship environments you start to look for artificial satisfaction. I almost get a sense that there’s something missing in her life that she’s trying to replace. Obviously in this case alcohol is providing that artificial satisfaction, that misconception of good that she’s in pursuit of and she’s lost sight of the fact of what it’s doing to her. It’s almost like she is acting out and considering unreasonable things and somebody needs to really make her aware of that. Hopefully this counselor is doing that but again, it’s something that it seems like may take a concerned friend because maybe her husband, he’s aware of it but hasn’t been successful in trying to alleviate that, but get her really to search for what’s missing in her life. What’s she really searching for because it seems to me she’s searching for artificial gratification. Wadle: That’s what we all do. Some other pragmatic themes potentially or to make sure whoever that counselor is, and a Christian counselor would be great but you can’t always find those depending on your locale, but make sure the counselor knows about this issue. You mentioned she and her husband are getting counselling. I hope there is a couple’s component to it, marital counselling. Not knowing what their background is religiously, spiritually certainly a direction there would be of value as well do they go to church together, do they pray together? Do they have that type of intimacy in their relationship and if not that may be what Mike’s alluding to: something’s adrift, something’s amiss and needs to be assessed. Vazquez: Thanks for the call and I’m sure she appreciates the fact that you care about her and we’ll pray for her to find that direction back to her virtues. Dr. Wadle, as we take that call we’re really talking about the difference between immaturity, looking for instant gratification, and deferred gratification of mature behavior. It’s really not age-based, is it? It’s really based on somebody’s personality? How does that come about? Wadle: A lot of us think of a mature person as being somebody who has more years under their belt but that’s not necessarily the case. Maturity in the sense of moral maturity or making good decisions, wisdom, isn’t necessarily chronological so we need to be aware of that. If we look at situations for opportunity to develop maturity, and that’s what’s necessary, how those opportunities are molded will help become that mature, moral, wise person. Let me start with a simple example of a child, say a four to six year old. You’re shopping in the grocery store with them, I’ll say with their mother. Unfortunately to the mother’s dismay they stroll into the candy aisle, the child’s eyes are wide open, they’re in Candy Kingdom. The kid’s scanning the row from the top to the bottom, they’re running up and down the aisle, they’re grabbing this, they’re tugging on mom’s slacks, they’re escalating with their pleas, demands, maybe screaming. There are several options here. This is where you have the opportunity to develop that maturity over time. Several things she could do: she could give that child something to eat, whatever they’re after, and that would make them happy although it would be very temporary. They get into the next aisle and they’re going to be dealing with it again. She could race her cart down and out of the aisle but that’s avoiding an opportunity for mature development and it teaches people to run from issues. She could agree to buy an item or two with a discussion about eating that item once in the car, at home or after dinner. Which option is going to avail more lasting happiness, broaching that joy we talked about? Which is going to help foster control? Which is going to lead to hope in the future? Vazquez: That’s a great example. We’ve been talking here today on Renewing Hope with Dr. Charles Wadle. When we come back, we’re going to take a break; we’ll be discussing why people take drugs and the barriers to getting treatment. What’s the impact of maturity and immaturity are you one of the three people being impacted by substance abuse? You can join our conversation after the break at 888-778-5833. On Ave Maria this is Renewing Hope. Again, 888-778-5833. We’ll be right back. Please note that this program is pre-recorded. If you or a loved one need help with alcohol or substance abuse, please call us at 888-778-5833. Though you won’t be able to speak with our hosts at this time, counselors are always available to help.